News of Innovative Securities - Real estate – Is it the best investment? Many people believe that real estate is the best possible investment – or at least it is probably the most common advice we will hear while we are talking to our friends. But is it really such a great idea to invest our money in real estate? While there are some arguments for it, there are some drawbacks that are not that obvious at first. 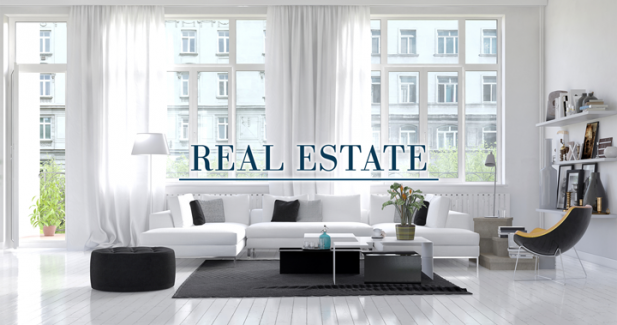 It is true that real estate is a steady investment since it is always available, it cannot be lost or stolen. There are other strengths of a house or flat: if we purchase it to rent it out, it will provide us a continuous cash flow, since the rents are coming in every month. We can be even buy real estate for “free” if we are able to get a loan and pay the mortgage from the rents – in this case all we have to do is be patient. It sounds perfect but sadly it is not that easy. For example, what happens if we cannot rent out our real estate and we still have a mortgage to pay? It can hurt our liquidity, worst case we can even lose all our savings and the real estate itself. But even if it is not the worse case, there is another huge drawback: many people do not consider the extra costs and investments a real estate needs. Amortization for example is a never ending problem, and basically we will lose money all the time if we do not invest more and more in the estate itself. That brings up another problem, the price of the renovations. So on one hand, if we are lucky, we can rent out the place and earn money, but we must spend (some of) it in the meantime to keep the value of our investment. Liquidity – or to be more precise limited liquidity – is also a problem for real estate. The real estate market is changing all the time just like any other market. So if we buy a house for a certain price, we cannot be sure we can sell it at a higher price, or even at the same price. What is worse, if for some reason we have to sell our property fast, we might face losses if the market is down at the time. Of course, real estate market is huge and there are companies (and rare individuals) who make great profits out of it. But that is a profession, and usually they are holding great amounts of capital and lots of real estates. Most of the time they are buying and selling, calculating costs and watching the market all the time just like brokers do with stocks. That professional way is how they are able to keep their profits on the long run, and could recover from losses if they face one. What many everyday men forget to do is to compare the different investments, since they have the sense that a real estate is the most stable one. But in reality, it is wise to calculate the costs, earnings and risks of a real estate and compare it to other possibilities like stocks, bonds or even bank account savings. This rational comparison might lead us to the right choice. Altogether, it is safe to say that for most people – even against the “common knowledge” – there are better alternatives for investing money than real estate. For example, a properly set up and trustworthy portfolio could grant good earnings, while it does not require the constant attention of the owner and there are no issues like liquidity, amortization and other hidden costs. If you would like to know more about other methods of investment and risk management, read this post too: Risk management? Sometimes patience is the best idea! Disclaimer: Innovative Securities’ Profit Max has a diversified portfolio, which contains liquid instruments. This way, our clients can maintain liquidity, while achieving high returns on their investments.